On November 9, 2018, at 1502 eastern standard time, a Cessna 310R, N5044J, was destroyed when it impacted terrain near Walton, New York. The airline transport pilot was fatally injured. The airplane was registered to and operated by KBUF Air LLC under the provisions of Title 14 Code of Federal Regulations Part 91 as a personal flight. Day instrument meteorological conditions prevailed, and an instrument flight rules (IFR) flight plan was filed for the flight, which originated from Niagara Falls International Airport (IAG), Niagara Falls, New York, about 1405, and was destined for Teterboro Airport (TEB), Teterboro, New Jersey. According to Leidos Flight Service, the pilot filed an IFR flight plan from IAG to TEB, with a cruising altitude of 7,000 ft and an estimated time en route of 1 hour and 47 minutes. A fueling receipt from a fixed-based operator at IAG showed that the airplane received 103.6 gallons of 100 low lead fuel on the day of the accident. Review of preliminary air traffic control communications provided by the Federal Aviation Administration (FAA) revealed that while en route, the airplane was handed off to the Terminal Radar Approach Control (TRACON) located in Binghamton (BGM), New York, and about 1442, the pilot contacted BGM approach and reported flying at 7,000 ft mean sea level (msl). BGM approach provided the altimeter setting, which was read back by the pilot. About 1459, the pilot stated, "I need to get on the ground immediately." BGM approach responded by stating, "the closest airport to you is Sidney Airport, approximately 360° heading from your current position." There were no further intelligible radio transmissions from the pilot. Review of preliminary radar track data provided by the FAA revealed that for about 55 minutes the airplane flew southeast on-course toward TEB at 7,000 ft msl, about 200 knots ground speed. At 1500:21, the airplane descended to 6,550 ft, slowed to 151 knots, and began a turn to the northeast. At 1500:36, the airplane continued flying northeast, descended to 5,100 ft, and was at 196 knots groundspeed. The last track data point recorded at 1500:50 was about 1.8 nautical miles from the initial impact point with terrain, and showed the airplane at 7,350 ft, on a heading of 308°, at 151 knots groundspeed. A witness, who was located about 1/2 mile from the initial impact point reported that she was outside in her driveway and heard engines revving up and down for about 1 minute. She subsequently realized the noise was coming from the air, and then saw an airplane "overhead." She stated, "it was so loud" and it flew in a straight-line over a pond near her. She reported that she could see a "gray round column of smoke" trailing the airplane and observed a "red orange glow" originating from under the right wing. The airplane then flew out of view; she then heard a loud explosion and subsequently observed a plume of smoke originate from where the airplane had just flown. The airplane sustained extensive impact damage, and evidence of a post-impact fire was observed. The wreckage path was oriented on a 320° heading, and the initial impact point (IIP) coincided with two 50 ft tall trees, which were atop a ridgeline that was about 2,000 ft msl. Two additional trees atop the ridgeline that were about 40 ft tall and located about 20 ft forward of the IIP in the wreckage path, displayed impact damage. The wreckage path continued through a heavily wooded down-sloping ravine about 620 ft, consistent with the airplane impacting trees atop the ridgeline in a steep nose down attitude. All major flight control components of the airplane were accounted for at the accident site. Flight control continuity could not be established due to the fragmented wreckage. Both wings were fragmented and were located in the wreckage path. The vertical stabilizer remained intact, the rudder remained attached, and the elevator trim tab hardware was installed. The elevator and rudder trim actuators were impact damaged and observed outside of their normal operating range. The left and right upper engine cowlings were located in the debris field and were fragmented. Neither cowling displayed thermal damage or sooting. All three landing gear struts were located in the wreckage path. The landing gear actuators were located, but were fragmented, and their position could not be determined. Several seat frames were observed along the wreckage path and exhibited thermal damage. The cockpit, main cabin area, and instrument panel were fragmented, scattered throughout the debris field and displayed varying degrees of thermal damage and sooting. Both fuel selector handles were impact damaged, separated from the fuel selector valves, and neither valves were not located. Both engines separated from their respective engine mounts are were found in the debris field. They displayed impact damage and numerous engine accessories had separated from their attach points. A vacuum pump was located in the debris field and remained intact. Both three-bladed propeller assemblies separated from their respective engines and were located in the debris field. The three respective blades for both propellers remained secured to their propeller hubs. Every blade displayed varying levels of leading-edge gouging, blade polishing, and s-bending. Both spinners displayed impact damage. According to FAA airmen records, the pilot held an airline transport pilot certificate. He was issued an FAA special issuance first-class medical certificate on June 4, 2018. At that time, the pilot reported civil flight experience that included 19,800 total hours, and 300 hours in the past six months. The multi-engine low-wing airplane was powered by two six-cylinder, Continental Motors model IO-550-A3B engines, that drove three-bladed McCauley constant-speed propellers. According to airplane logbook entries, an annual inspection was completed on August 21, 2018. The airplane accumulated 5,416.6 hours of total flight time at the time of that inspection. The weather conditions reported at 1453, at the Greater Binghamton Airport (BGM), Binghamton, New York, about 34 miles west of the accident site, included visibility 1 3/4 statute miles, light snow, mist, ceiling broken at 400 ft above ground level (agl), overcast at 1,300 ft agl, wind 130° at 10 knots, temperature 0°C, dew point -1°C, barometric pressure 30.01 inches of mercury. A witness located about 1/4 mile from the initial impact point, who heard the impact, reported that at the time of the accident, he observed that it was snowing and sleeting "very heavy." He further stated that it was "very windy," and you "couldn't see anything." Suddenly, November 9, 2018, at age 65. Beloved husband of Donna “Dee” Drew; dearest son of Dean A. Drew and the late Florence “Loney” Drew; brother of Dean M. (Karen) and Dale A. (Colleen) Drew; also survived by several nieces, nephews and many, many friends. Dan was a 1971 graduate of St. Francis High School. After a first flight lesson at age 16, Dan pursued a flying career and attended flight school in Florida. He held an airline transport pilot license and was an FAA-certified aircraft mechanic. Over a 40-year career as a professional pilot Dan flew scores of different makes and models of airplanes, earned a dozen jet type-ratings and operated aircraft on all the continents except Antarctica, often in very demanding circumstances. Dan supplemented his flying with a number of business ventures, including hardware stores, auto repair shops and other businesses. In his spare time Dan kept busy repairing and remodeling a series of homes in Buffalo and the family summer homes in Ft. Erie and Dorset, Ontario. He was an avid boater and a member of the Buffalo Maritime Center. A seasoned pilot from Buffalo flying a small plane from Niagara Falls to New Jersey on Friday was killed when the plane crashed in Delaware County, according to authorities. Daniel P. Drew, 65, was the only person aboard a twin-engine Cessna that crashed shortly before 3:30 p.m. off Readburn Road in the Town of Tompkins, about 40 miles east of Binghamton, according to a spokesman for the New York City Department of Environmental Protection Police. 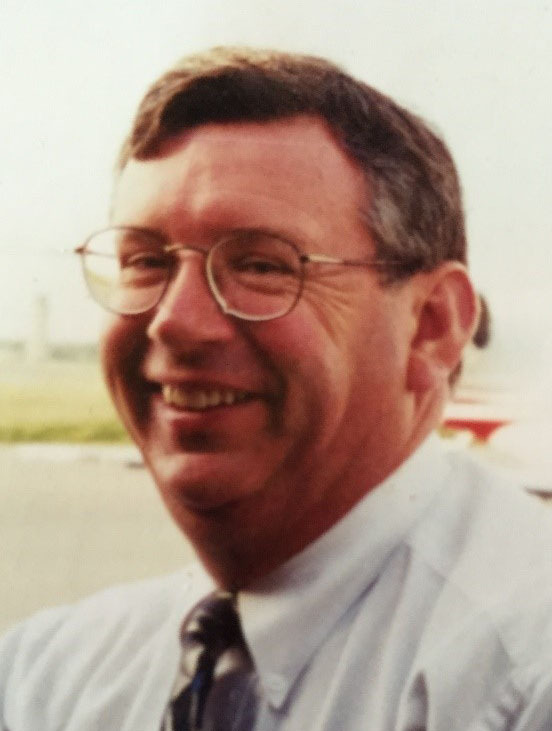 Drew, a lifelong pilot, was flying to Teterboro Airport, commuting to his job with a New Jersey-based charter company, said his brother, Dean M. Drew. Daniel Drew’s love of flying began when his father bought him a 1-hour flight as a present for his 16th birthday, according to his brother. He had probably had more than 30,000 hours of flying time in his life, Dean Drew said. “Flying was his passion,” he said. Daniel and Dean’s 93-year-old father, Dean A. Drew, was a pilot in World War II. On Friday afternoon in Delaware County, a person called 911 to report seeing a low-flying plane and then hearing an explosion, said Adam Bosch, public affairs director for the DEP Police. Firefighters extinguished a small fire at the scene of the crash. It was snowing and sleeting around the time of the crash, but authorities are still investigating the cause of the crash, Bosch said. Representatives of the Federal Aviation Administration and the National Transportation Safety Board arrived at the scene Saturday, he said. The crash happened in a wooded area and the plane was found at the bottom of a 600-foot drop. The land is owned by New York City, which operates the nearby Cannonsville Reservoir that supplies drinking water to the city. In addition to working as a pilot, Daniel Drew used to run Drew’s Hardware on Delaware Avenue in Buffalo. The store was later run by another brother, Dale, who later moved the store to Wyoming County. Daniel Drew went to flight school in Florida, where he was certified as an aircraft mechanic and a pilot. He also worked as a test pilot for a company that made flight inspection systems and over his lifetime flew roughly 10 different types of aircraft, his brother said. “He had flown all over the world,” Dean Drew said. Aside from flying, Daniel Drew loved boating and was a talented mechanic and handy around the house. “He couldn’t do enough for other people,” his brother said. There was one confirmed death in a small plane crash that occurred in Delaware County around 3 p.m. Friday. Delaware County Sheriff Craig DuMond told The Daily Star that he could confirm that the pilot was deceased, but couldn't say whether there were passengers. Authorities were alerted after a caller reported that a small plane was seen trailing smoke from its wing above Readburn Road in the town of Tompkins, according to scanner reports. Trout Creek firefighters were the first responders on the scene. Emergency services found the aircraft on a hill near Rainbow Lodge Road in Tompkins. Officials from the Federal Aviation Administration said the craft was a Cessna 310 aircraft but did not have information about the pilot, the plane's destination or its origin. According to state police, the New York City Department of Environmental Protection are leading the investigation. Officials at the DEP could not be reached for comment by press time Friday. Federal Aviation Administration officials said the department will be a part of the investigation and the National Transportation Safety Board will attempt to determine the cause of the accident. 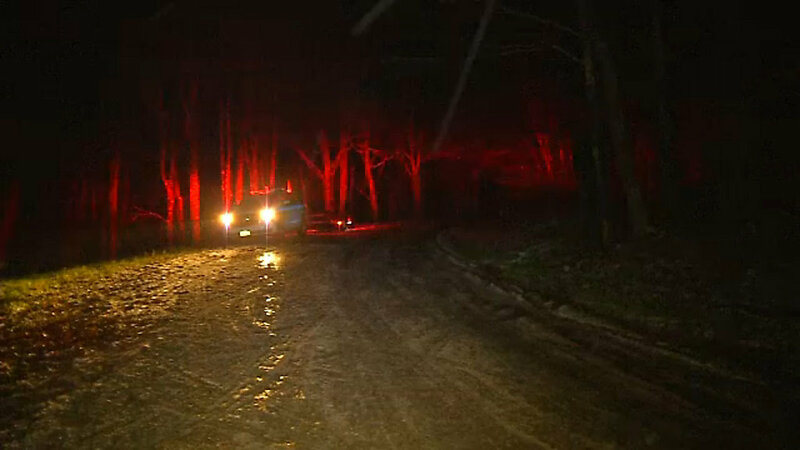 TOMPKINS (WBNG) — Police have identified the one person who died in the small plane crash in Tompkins on November 9th. 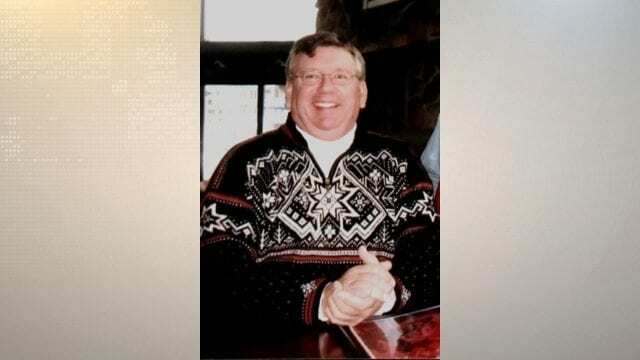 According to the New York City Department of Environmental Protection (DEP), 65-year-old Daniel Drew of Buffalo New York was killed when his 1975 Twin-Engine Cessna plane crashed in the north side of the Cannonsville Reservoir in the town of Tompkins. The DEP say just before 3:30 p.m., they received a call from a local resident who said they saw a low flying plane then heard an explosion, which led them to the crash site. Authorities arrived at the scene to find Drew, the only person on board, deceased and a fire that was a result of the crash. The DEP says the plane was on route from an airport in Niagara Falls to Teterboro Airport in New Jersey. At this time, the DEP says they are marking and cataloging the main parts of the plane they recovered. They say they do not know what caused the plane to crash, but say the National Transportation Safety Board is investigating. The DEP says at this time, the Federal Aviation Administration is at the scene and the National Transportation Safety Board will arrive shortly to conduct their investigation. TOWN OF TOMPKINS, NY (WKBW) - A Buffalo man is dead following a plane crash in the Town of Tompkins Friday afternoon, according to the New York City Department of Environmental Protection Police. According to a spokesperson for the NYC DEP, a resident of in the Town of Tompkins reported they saw a small plane flying low and then heard an explosion around 3:30 p.m.
65-year-old Daniel P. Drew was the only occupant of the 1975 twin-engine Cessna, which crashed on Readburn Road just north of the Cannonsville Reservoir which supplies drinking water to New York City. The NYC DEP was involved in responding to the crash due to the location. Officials say the flight was traveling from Niagara Falls to Teterboro airport in New Jersey. The investigation has been handed over to the National Transportation Safety Board and Federal Aviation Administration who will determine the cause of the crash. "..trailing smoke.." Depends on what color the smoke was. Grayish blue is oil leaking into the cylinders. Black could be fuel. Depending on the ambient temperature and dew point, the "Smoke" could be water vapor, much like a contrail, or a visible vortex. The -310 has lots of horsepower on each wing. Pilots experiencing engine fires have the utility of that power to fly the plane, should one mill malfunction. Single pilot IFR in a complex twin engine is a high-workload environment. Throw in a mechanical issue and things can go to sh*t real fast. It only takes one time to kill you. RIP fellow AV8R. Will be waiting for what the NTSB finds as a cause. Very bad weather with wet snow and sleet that day , mountains obscured, rugged terrain , engine issues etc ..was level at 7,000 before decent . Maybe trying to get into the small White Birch airport ? Why didn’t he try to go back to Sidney with an instrument approach ? This man had great experience so this accident is troublesome for me . Hope the NTSB can determine the possible cause . The better decision would have been to fly commercial I wounder his many hours of experience clouded to fly or not decision making. If you think about it you done it many times, so you don't think it's risky. Get into a situation of single engine performance climb rates maybe negative your way out is limited in the mountains with that kind of weather. Commuting is a choice. Making sure you get there certainly adds pressure. I buy tickets when I have to. While commercial is safer, I have had some close calls riding on one particular operator. An isolated flat topped hill with steep sides located in the South West US comes to mind. This man, a former employee of mine, had over 20,000 hours of flying experience flying large category jet aircraft all over the world. In fact he was scheduled to depart the next morning from TEB flying captain on a Gulfstream G400 business jet. Here are the facts, so far, per the NTSB prelimary findings; 1) There is evidence of a significant inflight fire, the smoke from which would have created visibility issues inside the airplane 2) both engines were developing power at the time of the accident 3) weather was IFR with low ceilings, but other than that it does not appear to be a factor - the aircraft was equipped for all weather operation 4) the pilot was advised by ATC that the "closest airport" was Sidney, some 17nm due north - as numerous inflight fire accident report confirm, with a full blown interior fire, there was not enough time for him to make it there. 5)he was NOT advised of the White Birch Airport, which he flew directly over just prior to making his turn north toward the Sydney airport. Although a turf runway and far from an ideal choice, had he been alerted of its presence, it would have given him an immediate flat ground option without trees. ATC radar was still painting him and they could have provided vectors to the runway threshold. Fact is there is little precious time when an inflight fire occurs in any aircraft. Reference the NTSB report on the NASCAR Cessna 310 crash in Sandford,FL from an inflight fire. This accident occurred in VFR conditions on flat level terrain with two pilots in the cockpit to try and handle the problem yet time from first transmission indicating a fire on board to the crash was less than 3 minutes. Total flight time from liftoff to crash was approximately 12 minutes. Previous Cessna 310 aircraft have had, in the past, a history of issues with the gas heater relating to thermal decay of the burn tube. And pre-1977 Cessna 310 aircraft were built using PVC insulated wire, which produces hydrochloric acid as a byproduct of combustion and has since been prohibited for installation but nothing was ever done about replacing or retrofitting aircraft already built using that wire. A cabin fire would have not only have produced debilitating smoke, but likely noxious fumes as well. In respect for this man, I would respectfully request that uneducated armchair quarterbacks please refrain from idle speculation about what he should have done alternatively. He knew what he was doing and appears to be a victim of a mechanical failure which gave little chance of survival in any event. Steve Marchionda, Thank you for your comment. Dan was an excellent pilot and we at Niagara airport were shocked and saddened by this event. I too wish folks would wait for the NTSB report before Judging Dan. I only wish I could be as good as he was. Prayers to his family.